DoMyBest Games and tinyBuild announced that they will release new DLC for The Final Station later this week. Entitled “The Only Traitor”, the DLC extends the storyline of the original game, which will answer some questions left unresolved by the end of The Final Station. The Only Traitor takes place in the same, dreary world of The Final Station. You are given a car and are taken on a road trip through the dying world, in hopes of finding the last remaining shelter. Throughout the journey, you’ll discover new locations, revisit familiar places, encounter new enemies, and learn more about the Visitations. In addition to the extended 2-3 hour storyline, you will also have the ability to choose a companion who will assist you with your journey. While each survivor has different abilities, such as crafting or being a medic, you can only have one survivor in the car at a time, so you must choose wisely. 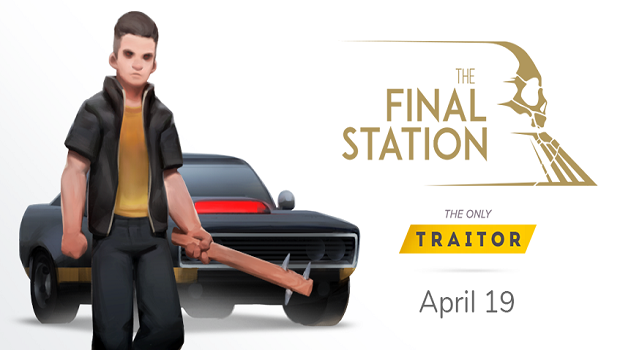 The Only Traitor DLC for The Final Station will be released April 19 on Steam. In the meantime, check out Sarah’s review of The Final Station, where she lauds, “While it may look simple and even a bit silly on the surface, The Final Station is quite the captivating game.” Stay tuned for more news on Gaming Trend.